How do I register for I Live Here I Give Here Nonprofit Membership as a new member? 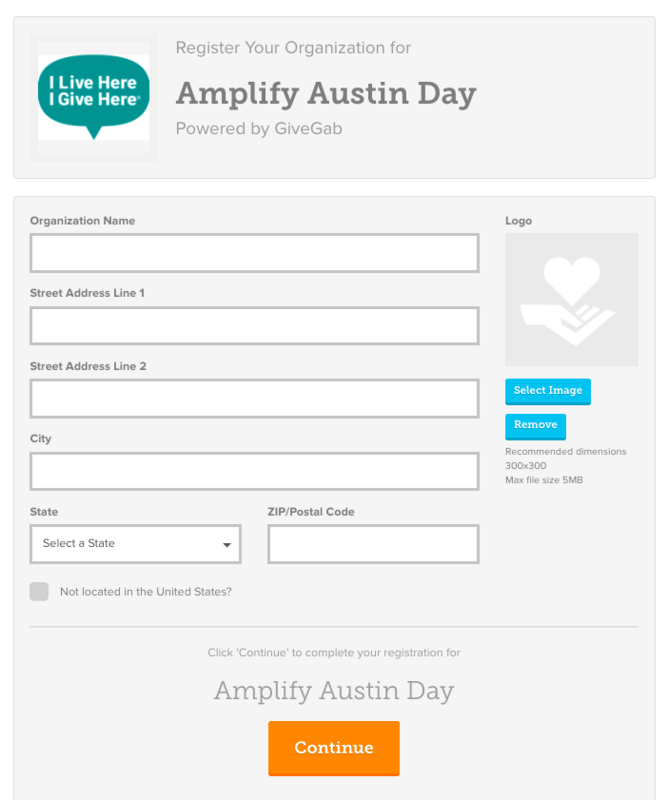 If this is your first time participating with I Live Here I Give Here and Amplify Austin Day, follow these instructions to register. From AmplifyATX.org click the "Register Now" button on the main landing page to begin the registration process. 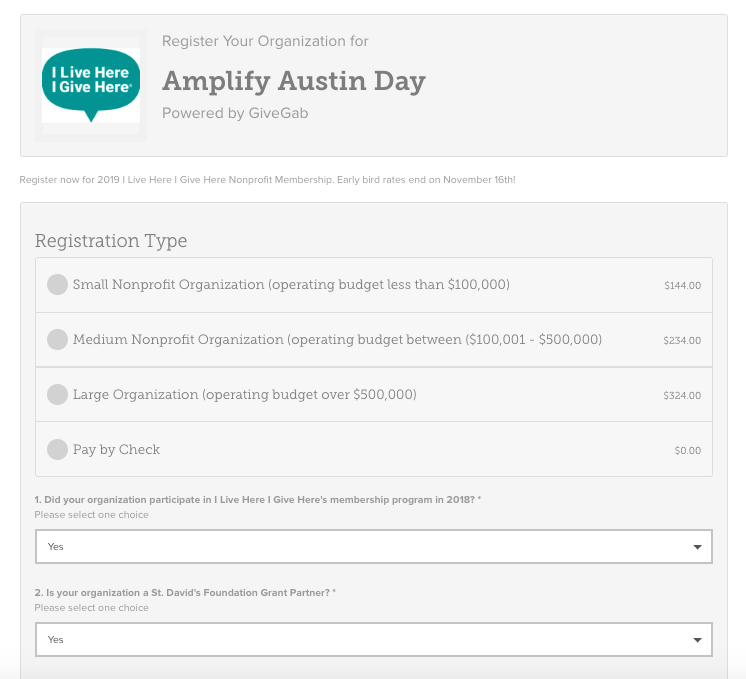 If your organization was currently active on AmplifyATX.org before the site migration or has fundraised on GiveGab, click the "Participate" button next to your organization's name. After clicking "Participate" You’ll be directed to login to your GiveGab account to finish the registration process for I Live Here I Give Here Nonprofit Membership. If you clicked the "Add My Organization" button you'll be directed to this registration form where you'll be prompted to enter some basic information about your organization. This is also where you’ll create your personal login to access and edit your organization’s AmplifyATX.org profile. You can add additional administrators to your organization's account once you've registered. Once this section is complete click the "Continue" button. After completing the steps above to add your organization to the platform, you'll be directed to the Registration Survey for Amplify Austin. You’ll be directed to the Registration Survey. Here you’ll need to answer the required survey questions before finalizing your organization’s membership registration. 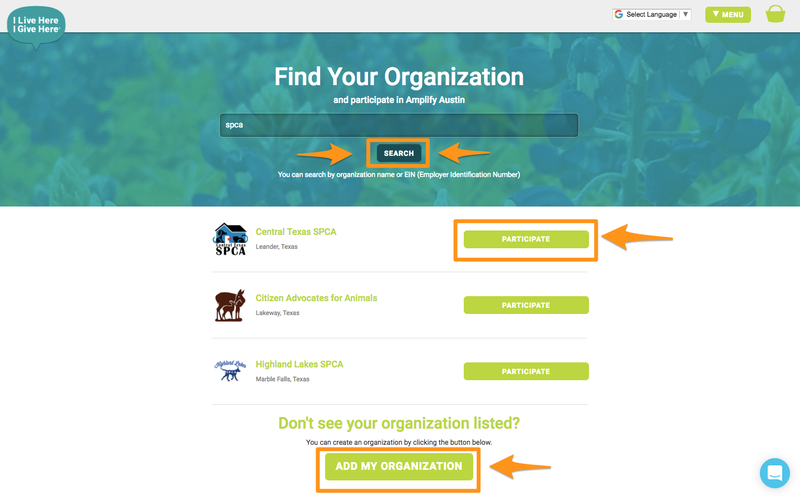 Once the survey is complete, you’ll receive an email confirmation and automatically be redirected to your AmplifyATX.org dashboard on GiveGab where you can begin customizing your profile. 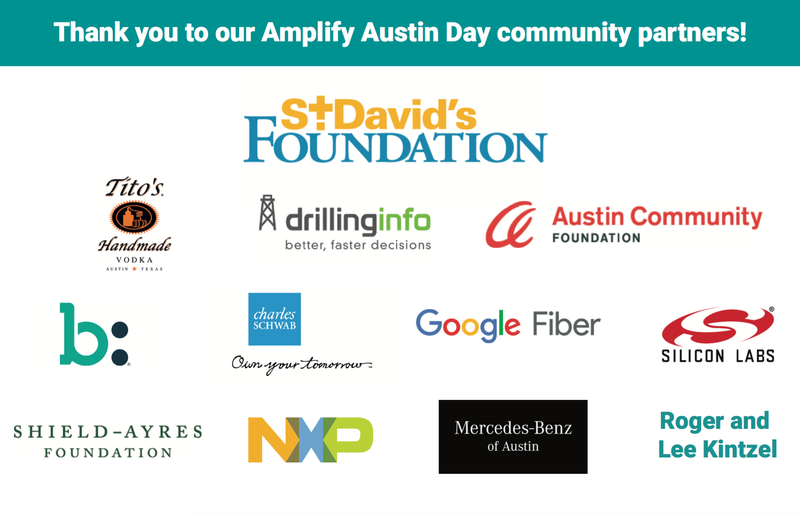 Please Note: Upon approval of submitted registration for I Live Here I Give Here Nonprofit Membership, your organization will automatically be entered as a participant for Amplify Austin Day 2019!